Art & Crafts, Clothes Shop, Gifts & Souvenirs, Shopping. 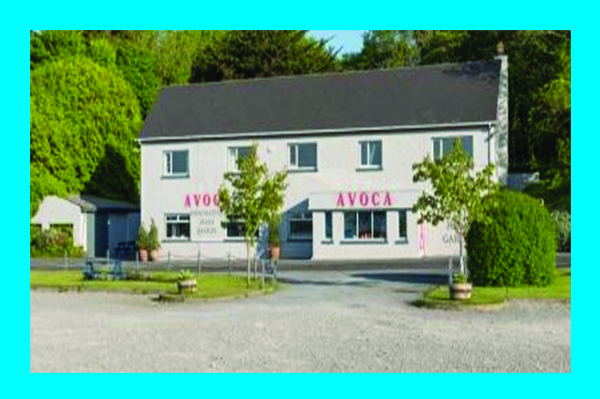 The Avoca store is situated on the shores of Ballinakill Bay in County Galway. Many admiring critics consider it to be possibly the most interesting gift shop in the West. Browse around our many rooms, including our new Mill Room. Marvel at our range of soft furnishings, locally produced books and a wide selection of toys, children’s clothes and gifts. Our collection of womenswear is second to none and our menswear room has become hugely popular, with shirts, sweaters, jackets and trousers all along with outdoor gear for all ages. In addition, there is a huge selection of scarves, rugs and throws in fine mohair, lambswool and cashmere, which are designed, and in many cases, woven in the family mill at Avoca Village in Wicklow. The store offers an exciting selection of exclusive gifts and accessories including glass, pottery, and jewellery – not to mention a wide range of foods – The Avoca Pantry foods range, delicious jams, chutneys, oils and biscuits. All this, and a fantastic view out across the magnificent rugged coastline and rolling hills – there is something at Avoca in Letterfrack, for everyone.